so i thought i lost the ability to do a credible manicure after what i've dubbed "monday's multiple mani massacre" (he he) but turns out it was a fluke. i'm cured! phew! 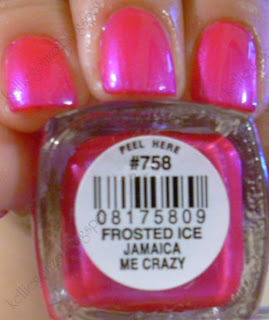 i picked out a color i haven't tried since i've bought it, and never on my tips, only toes. 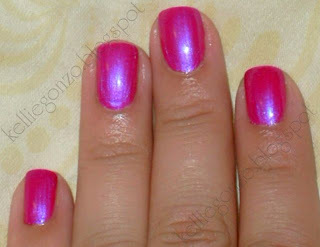 idk why, it's lovely. 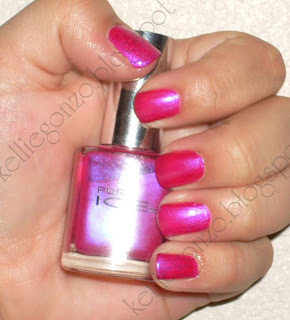 pure ice's jamaica me crazy is a frosted fuschia, and in certain lights gives of a duochrome-y looking sheen. haha i'm not much with all the terminology yet so yeah whatev. until next time, live long and prosper!